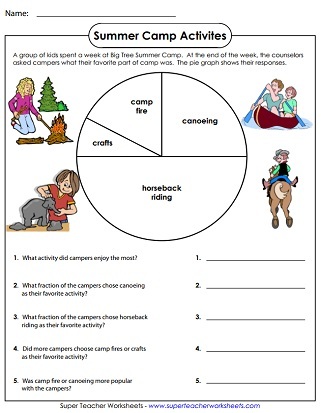 Use the information in the summer camp pie graph to answer the questions. 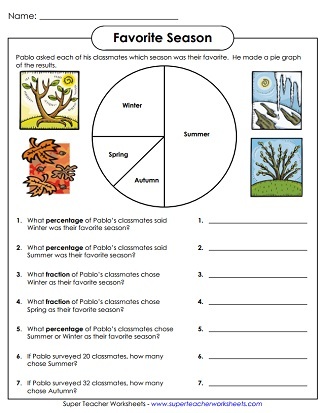 Requires knowledge of fractions. 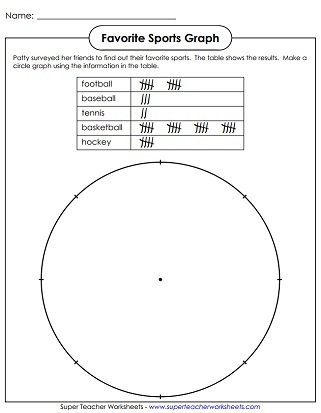 Use the data from the table to make a sports circle graph.